Universal Health Principles™ is a healing modality that helped me transform chronic pain and anxiety, learn how to flow with life, and become a creator of my own experience by managing my mind and bringing a more positive outlook to whatever my current "issues" are - be it health-related, career-related, love-related or something else. Intro sessions take place online over Zoom (an easy to use video platform). We can also use Facetime if Zoom doesn't work for you. I will then "tune into" your body and ask where communication is ready to improve, pulling on my wrist for guidance. What I'm finding are places in you (physically, emotionally, etc.) where stress has caused communication to break down. Since communication is the basis of health, your body is telling me that it's ready for an upgrade. We re-establish the lines of communication by bringing these things to consciousness through words and images and then we will "tap out" the links. I will show you how to tap over your head and heart while guiding you through breathing and connecting within. Sessions are relaxing, gentle and safe. Nothing comes up in a session that your body is not ready to process, so you don't have to worry about being overwhelmed or nervous. Every session is completely unique and unfolds based on what YOU are ready for. Book your online intro session here. 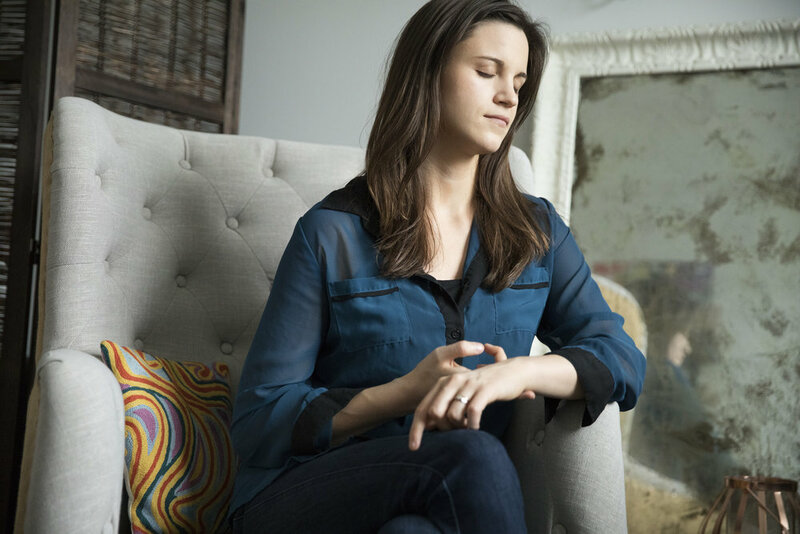 I had a very important surgery coming up and I invested in a UHP session with Kerri to help me process through all of my feelings anticipating the procedure. I was feeling a lot of fear and sadness. She was able to tune in to some of the key themes that my body, heart and mind were experiencing. She gave me some touching insights to contemplate during the session. I ended up journaling and meditating on these insights daily up until my surgery date. The experience of the surgery was incredibly healing and I felt so safe and supported because of all the mindful care that had been taken in preparing myself for the big day.